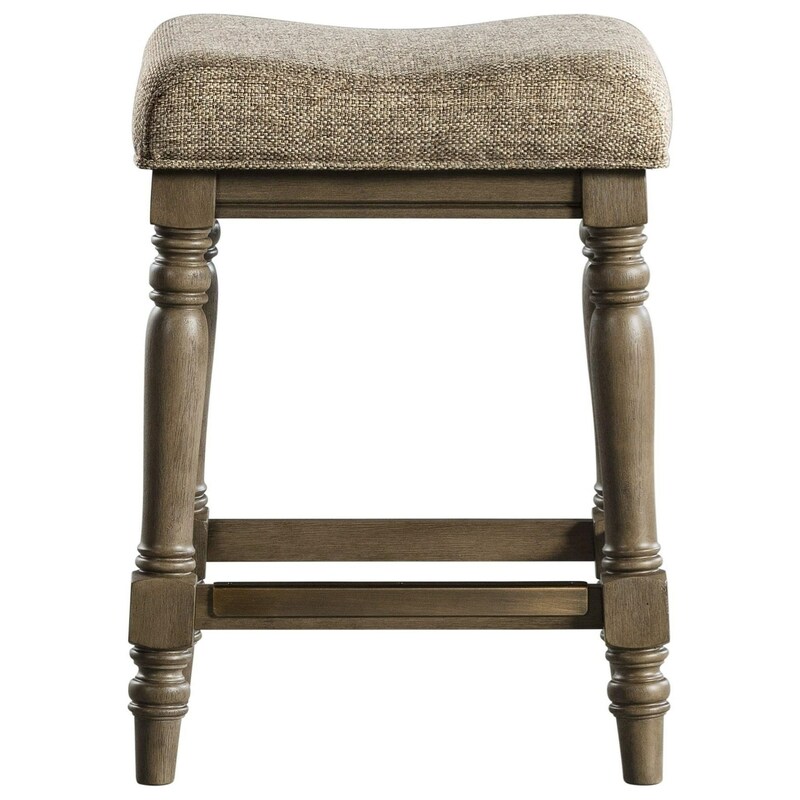 Pull up this transitional bar stool and rest comfortably while its unique style enriches your dining area. The tapered spindle legs and footrests are finished in roasted oak, giving it a warm and relaxed feel. Additionally, the upholstered, slightly curved seat brings comfort and convenience straight to the table. The Balboa Park Transitional Upholstered Bar Stool by VFM Signature at Virginia Furniture Market in the Rocky Mount, Roanoke, Lynchburg, Christiansburg, Blacksburg, Virginia area. Product availability may vary. Contact us for the most current availability on this product. Create a casual, yet elegant dining experience with this impressive collection. Every piece combines compelling curvature with smooth lines and shapes to create a transitional flair that works well in any dining area. The wood's roasted oak finish adds to these piece's undeniable charm and style. Whether you are having guests over for a formal affair or you are simply having a nice, casual night in with the family, this dining collection has you covered. The Balboa Park collection is a great option if you are looking for Transitional furniture in the Rocky Mount, Roanoke, Lynchburg, Christiansburg, Blacksburg, Virginia area. Browse other items in the Balboa Park collection from Virginia Furniture Market in the Rocky Mount, Roanoke, Lynchburg, Christiansburg, Blacksburg, Virginia area.